For those who find Notting Hill Carnival a bit much, but still enjoy the music and want to get in the festive spirit, the Notting Hill, the National Panorama Competition is he perfect opportunity. On the Saturday before the Carnival starts, many of the steel bands participating on Monday come together for a special event to compete in a park and be judged on who is the best. 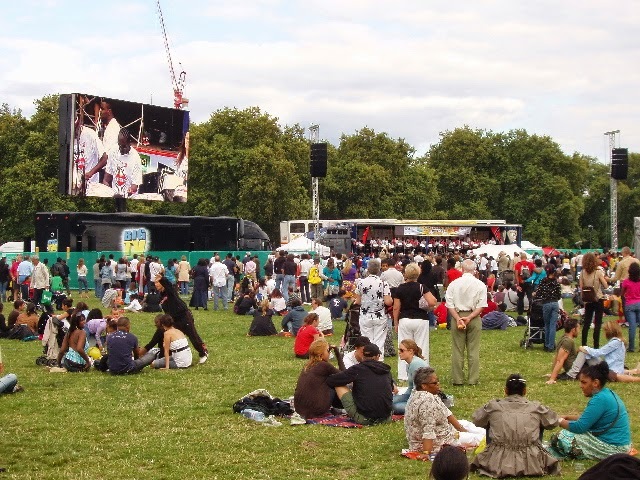 This evening from 7 - 10pm, the bands gather in Emslie Horniman Pleasance Park, which from tomorrow will be right at the heart of the Carnival, as bands begin their route, for a free evening event which promises a Caribbean atmosphere.